It's 2017 and we live in a world where connectivity is growing by the second but legislation differs across borders – making issues such as the legality of online casino gambling for Canadians something of a confusing subject. In a culture where freedom and liberty are revered, will residents be free to play in online casinos, or will they be prohibited like George Orwell's citizens in 1984? Ultimately, what does the future look like for online casinos in Canada? 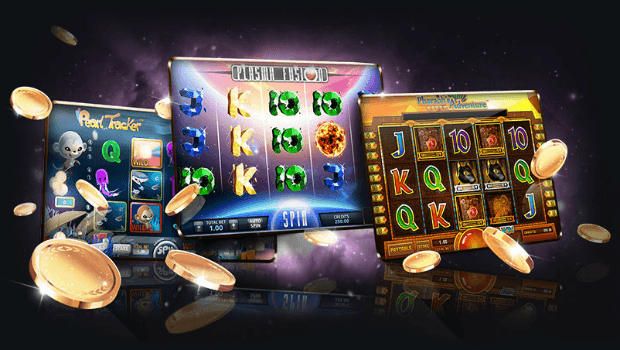 Thousands of online gamers in Canada play in online casinos by simply clicking on a casino in some other global location. Many ask the question whether they might get raided by special forces and have their laptop or mobile phone taken away for analysis. Most experts consider this to be unlikely – gamers are at no risk of prosecution, with legal action is much more likely to be taken against online casinos themselves. Fundamentally, most lawyers suggest that a gambler who surfs to an online casino that has an offshore location (e.g. registered in Malta or Gibraltar) is not committing any criminal offence, regardless of whether they're spinning on a slot machine or playing live poker. So, on this front, the future for online casino players based in Canada is not a big concern. Indeed, should a gamer in Canada win a million dollar progressive jackpot, they should be safe to legally receive the cash without any fear. While legal experts give the green flag to Canadian gamblers wanting to play at online casinos registered outside of the country, they also highlight the potential for these online casinos to be prosecuted by Canadian authorities. The situation is compounded by ambiguity. Fundamentally, gambling in Canada falls under the control of provincial law. Thus, if a Canadian company launches an online casino, they may be explicitly in breech of the law and face prosecution. But the grey area is whether offshore online casinos are breaking the law when they accept bets from players based in Canada. Prior to internet gambling, such questions didn't materialise – but now they're creating subjective legal conundrums. First of all, there's the question of whether a company based offshore in a location such as Cyprus could be prosecuted for merely taking wagers from Canadian players. Secondly, there's the scenario in which an offshore casino promotes their services in Canada, for example by sponsoring an event in the country or forming some form of association with a Canadian brand, for promotional purposes. Many experts suggest that advertising in the country provides more ground for prosecution, but both areas enter 'the grey zone'. At the current time, the risk of offshore casino companies getting taken to court by Canadian authorities hasn't been defined. In essence, while online casinos based around the world are at theoretical risk of being prosecuted by Canadian authorities, the fact that more and more provinces are embracing online casino operators seems to suggest that the future looks bright for casino gambling in Canada. British Columbia enabled sports betting and online lotto tickets in 2004, followed by poker in 2009 and then bingo and online casino games. Manitoba, Quebec, Ontario and Alberta have all followed in a similar direction. In contrast, other areas such as the Maritime provinces remain tightly controlled. The Atlantic Lottery Corporation (ALC), which controls bingo and lotto ticket sales on the internet for the region, currently prohibits online slots, blackjack, poker and other classic table games. The general theme for Canadian gambling seems to be a pro-casino stance, with more and more of the 13 provinces veering towards embracing the online casino industry. While the potential may still be there to prosecute overseas casino operators, it would be a very complex, costly and prolonged legal exercise, with unknown outcomes. Given that money is already flowing from Canadian gamblers into the pockets of offshore online casinos, many analysts suggest that it makes economic sense for Canada to fully legalise online casino gaming across the country. Ultimately, the future looks positive for Canadian online casino gamers and potentially for the industry as a whole. In a connected world of casino gaming, it's becoming harder and harder for repressive legislation to control the demands of the people.